Winemaker Joey Chessor became interested in grape growing and wine making over a decade ago and has been honing his skills as a vintner ever since. 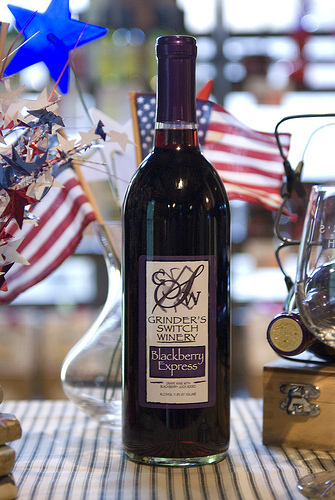 Grinder’s Switch Winery opened in 2006 andcurrently has 6 acres of vineyards and 2 acres of Muscadine grapes on their 110 acre estate in Centerville. Their wines have won awards and medals across the country including the prestigious “Wines of the South” competition. The beautiful tasting room is nestled inside the cozy hand-built log cabin and offers an array of local handmade crafts and other unique gift items. Joey Chessor will be lecturing at the Gardening Partners August meeting on August 11th at 7 pm in the multipurpose room at Tennessee College of Applied Technology 740 Highway 46 in Dickson (across from Lowe’s). This lecture is free and open to the public.